Do you struggle for time some days, are you busy at work, is family life hectic and do you find it hard to find time for YOU? WORKOUT WITH WENDY TODAY IN YOUR HOME, OFFICE OR WORK PLACE. So that’s 10 home workouts that are between 5 – 15 mins long! You choose! 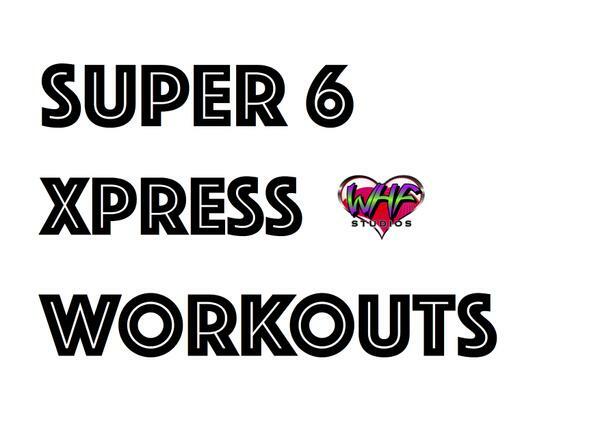 CLICK TO BUY YOUR SUPER 6 XPRESS BUNDLE HERE!? REGISTER YOUR EMAIL & DETAILS AFTER YOUR PAYPAL PAYMENT HAS BEEN TAKEN IN FULL, YOUR DOWNLOADS WILL BE EMAILED TO YOU AFTER YOU FILL IN THE FORM. I LOOK FORWARD TO WORKING WITH YOU SOON! :0) TWEET ME AND FACEBOOK ME WITH #SUPER6XPRESS TO LET ME KNOW HOW YOU ARE GETTING ON! Always remember to WARM- UP before your workout. Tabatas are one of my favourite types of workouts of all time. They’re short, incredibly effective, and incredibly hard if you do them right — everything that makes up a good workout. And best of all, they only take four minutes to complete! So what are they? Tabata training is a style of interval training developed by Dr. Izumi Tabata at the National Institute of Fitness and Sports in Tokyo, Japan. He conducted tests on two groups of athletes, comparing moderate intensity training (such as long-distance running) to high-intensity interval training (like sprinting). The results were amazing — not only did the athletes doing high-intensity interval training increase their overall aerobic and anaerobic capacity, their VO2 max, resting metabolic rate, it also helped them burn more fat — resulting in a leaner physique much more quickly than their moderate intensity training counterparts. You’ll need an interval timer to effectively do a Tabata, since no one can accurately count to 20 seconds when they’re working that hard. And trust me on this one — if you think that you can do four minutes of exercise in your sleep, you’re underestimating how hard Tabata workouts really are (if you do them right, that is). Tabata workouts will leave you breathless, but they’re worth every second of the pain. This is the classic Tabata workout, and the one most people think of when they think of Tabatas. To do it, just find an open space and set your timer for 8 rounds of 10 and 20 seconds. Then sprint as fast as you can during the 20 second intervals and walk slowly or rest completely during the 10 second intervals. Grab a jump rope and get your heart pumping with this awesome tabata workout you can do anywhere. To do it, set your timer for 8 rounds of 10 and 20 seconds, jumping rope as fast as humanly possible during the 20 second intervals and resting during the 10 second intervals. This one’s extra fun: you’ll be doing two different exercises, and switching each interval. 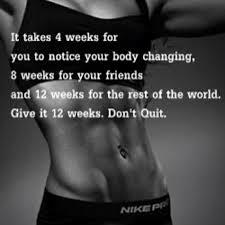 You’ll start by doing 20 seconds of burpees, rest, then do 20 seconds of mountain climbers. Continue until you’ve completed all eight rounds. Get creative with your tabatas—you can do them with any type of bodyweight exercise or traditional cardio activity. Just remember that to make them effective, you have to work as hard as you can! WARM UP, GRAB SOME WATER AND WORKOUT! !